Ever wanted to learn how to "walk the cup"? First of all ...what is walking the cup? 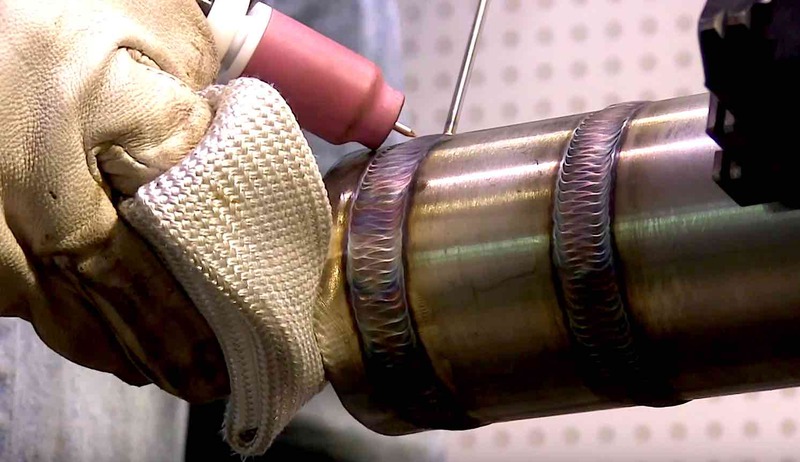 It is a tried and true technique for Tig welding and it is called "walking the cup" because when this technique is used for pipe welding...it is akin to walking a drum across the shop floor. 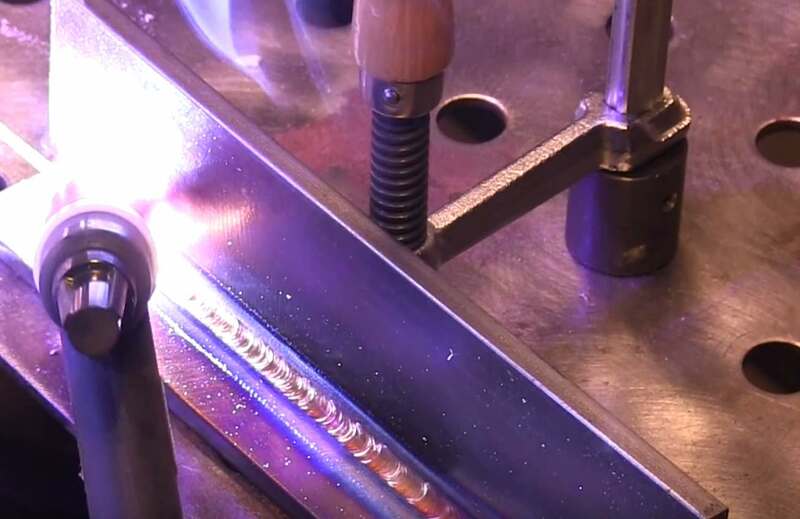 ...it is basically either resting the tig cup on the side walls of a fillet weld or on the beveled walls of a groove weld. 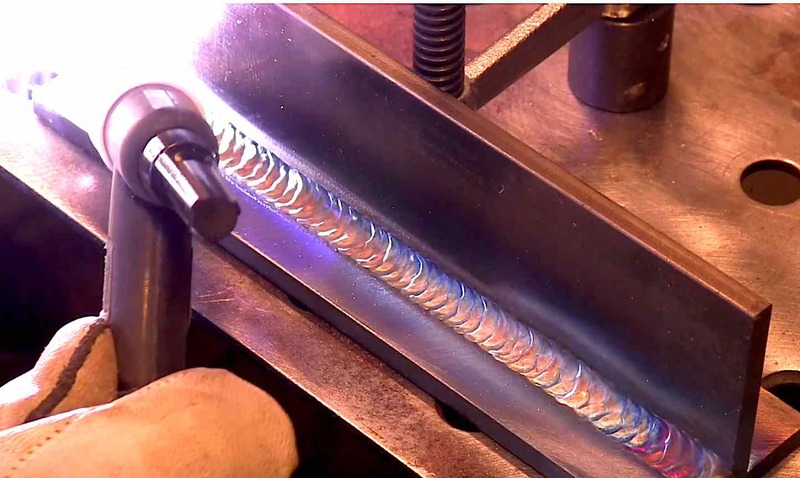 This technique is mainly used for pipe welding but it can also be a useful technique for other shapes when you need to weld for a fairly long run without stopping. 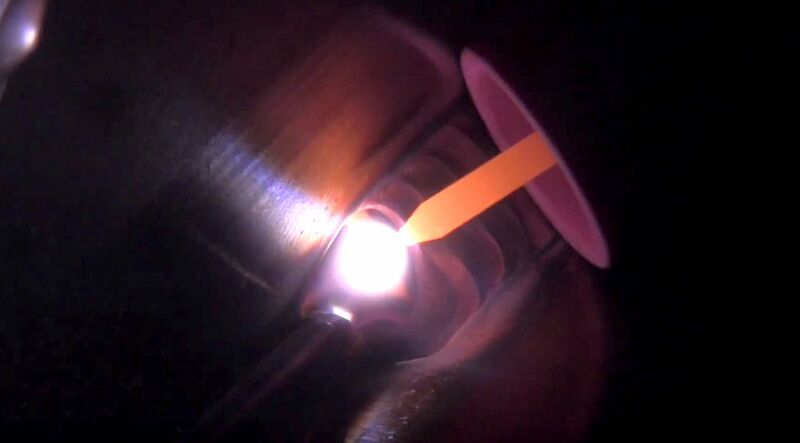 This video shows walking the cup on a piece of box tubing welded to a base plate along with some previous clips of walking the cup on a piece of heavy wall round tubing. Tig cups are sized by 1/16" of an inch of the inside diameter of a cup. In order to walk the cup, the size of the cup is selected based on the depth of the groove, angle of the groove, or size of the weld deposit. 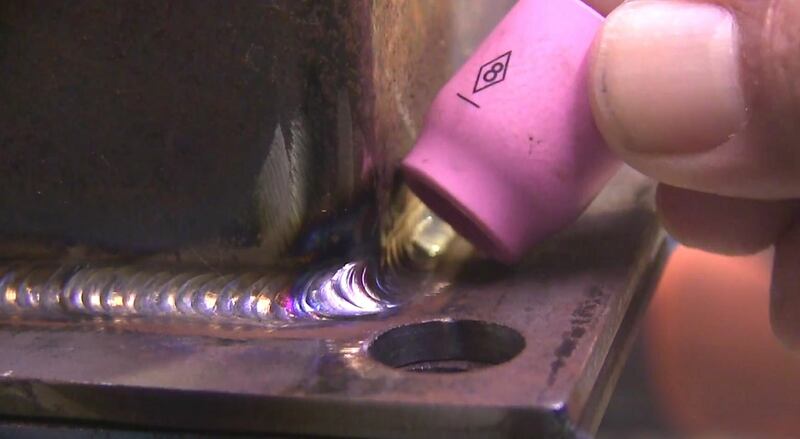 For fillet welds, the cup should be large enough so that the cup can still rest and slide on the side walls of the base metal...and not touch the weld that is being deposited. For groove welds, the cup size is typically selected the same way for the root pass and hot pass, but after that things change a bit. For the last layers of weld on a cover pass, the cup is actually being walked back and forth as if you were walking a 55 gal drum across the shop floor. Walking the cup works great for pipe welds down to around 2" ...much smaller that 2" and freehand works better for me. For smaller bore piping, I usually freehand using my tig finger. and even on root passes on larger than 2" I use a tig finger so that I can move my electrode forward and back instead of sideways. For small bore pipe and tubing, I typically freehand everything because I feel like I have more ability to move quicker in all directions. For highly polished surfaces like machined parts, or soft metal like aluminum, I hardly ever walk the cup because of the scratches that are left behind by the ceramic cup.